Coal is a mineral of organic origin, developed from the remains of vegetation which have, over the course of millions of years,been transformed to solid carbon fuel by the effect of heat and pressure from overlying rock or water. Coal is used as fuel. Coal covers a wide range of products with a corresponding range of properties. All classes of coal, including anthracite, are susceptible to Spontaneous Combustion. Whilst all classes of coal are susceptible toself-heating under appropriate conditions, some types of coal, particularly lower gradei.egeologically immature coals, have a particular propensity in this regard. The blending of different types of coal may also enhance the propensity of spontaneous combustion. Very little can be discerned about the potential properties of a cargo simply by visual inspection at the time of loading. Thus, given the wide variability in the properties of coal, it is essential for the Master of the vessel to obtain full details of the specific characteristics of cargo from the shipper prior to loading. If the Master is not satisfied that he has been provided with sufficient information concerning the properties of the cargo, or has reason for concern about the safe carriage of the cargo, he should seek expert advice before shipment of the cargo. Warning notices against smoking and the use of naked illuminationshould be posted at the entrance to cargo compartments and adjoining spaces where inflammable gases may accumulate. Warning notices against use of electrical circuits in cargo compartments, mast houses, deck houses and other spaces where gas may accumulate should be avoided. Torches specially designed for safe use in potentially flammable environment should be carried on board. Consignment should not be allowed to be loaded on the vessel in slurry conditions. Coal shipped in wet condition will show at least 2 to 3% loss in weight. Since coal is susceptible to spontaneous combustion during long ocean voyage, temperature should be taken at the bottom of and at the ends of each coal carrying compartment and steps taken to monitor and record the rise of temperature, if any, during the entire sea voyage. As the cargo is prone to self-heating, ventilation should be restricted to an absoluteminimum, and it is essential that the cargo is trimmed as level as is reasonably possible. Any increase in temperature maycause self- heating. More so, nature of the cargo is such that a hot spotin the stow is unlikely to be detected in the early stages unless there happens to be a temperature probe in the right location. Since self heating is an oxidation process the oxygen concentration in the hold atmosphere under conditions of restricted ventilation is likely to become depleted. For cargoes which are liable to emit methane, the possibility of explosion is high. Henceprecautionsshould be taken to avoid the accumulation of flammable atmosphere in the holds although excessive ventilation, particularly into the body of the coal, may cause self – heating. Most classes of coal, particularly thoseused for coke making, suffer deterioration and depreciation in value due to contact with salt water. However, quality, calorific value apart, coal is seldom affected due to contact with fresh water. Hence, proper care should be taken in arriving at depreciation or loss arising from spontaneous combustion, heating, or water damage.The assistance of a qualified sampler/analyst is essential to determine the degree of deterioration. A commodity having relatively low ignition temperature begins to releaseheat. It may occur due to oxidation by moisture and air and, in some cases, bacterial fermentation generates heat. If heat is unable to escape, the temperature of some commodities like hay, straw, peat etc. increases. Withregardto coal , the possibility of self- heating decreases with increasing rank of the coal. Lignitecoal is more susceptible than bituminous coal, but the latter is more active than anthracite coal. It is also found that mined coal consumes oxygen more rapidly than weathered coal and, therefore, mined coal self-heats to a greater extent than weathered coal. When spontaneous combustion occurs, the temperature rises initiallybut no burning in the normal sense takes place. This stage is called “heating”. Apart from the increase in temperature, heatingmay develop from the gases produced i.e.carbon monoxide. Since the gases produced tend to increase the possibility of spontaneous combustion in a remote location, it is difficult to locate the place of heating. The heating gradually developsinto afire unless the situation alters. Marine underwriters should not grant cover for spontaneous combustion during storage at port even in the ordinary course of transit. However, cover for spontaneous combustion may be granted during sea voyage and the loss, if any, due to spontaneous combustion may be admitted if the Master of the vessel confirms the occurrence of spontaneous combustion. Coal or coke shipped in wet condition may be subject to loss of weight due to drainage during the voyage or by evaporation up to, say 3%, depending on the quantity shipped. However, loading and unloading in heavy rain may result in an increase in discharged weight over shipped weight. Apart from the physical weighing of the commodity on loading and discharging, an approximate check of the lost or added weight can be made by using the immersion scale of the vessel or by comparison of moisture analysis of cargo samples taken professionally during loading and discharging. Cargo weights are, in certain cases ,ascertained at points remote from ship’s rail and alternatively at the time the cargo is put into stock on quay or in barge. In such cases, variation between the weight indicated asshipped andthat actually loaded will occur.Since coal absorbs water, it is always traded on a dry weight basis i.e.moisture content at both ends should be considered when payment is made to the seller. The loading, transportation and discharge of coke results in some degree of breakage, leading to a small average size of lumps and a greater content of fine material, breeze and dust. Hence, careful samplingand testing according to acceptable procedure are necessary to determine the extent of such changes. 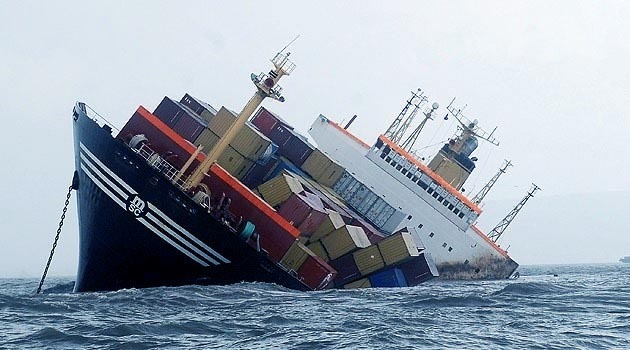 There will be no dispute if the total quantity of consignment loaded on to the vessel has arrived without any shortage. If draught survey at discharge port shows excess cargo when compared to the quantity loaded at load port, the same may have been caused due to absorption of moisture or because more cargo was loaded than intended. If cargo is short landed, the receivers of cargoshould file claim on the carriers. If the cargo is loaded in one port and discharged in another port, the difference in quantity without any valid reasons may be a paper loss but if the cargo is discharged at several ports, then surveyors representing different receivers should be called in to estimate the quantities based on figures obtained by draught surveys, etc. Since cargo stored in open prior to loading on to the vessel is exposed to rain and the moisture remains in cargo for many weeks prior to loading, excessive weight i.e. in excess of 100tonnes on a 4 weeks voyage may be discharged. Itmay be noted that when moisture drains out during prolonged voyage, the cargo contains moisture which may accumulate at the bottom of the cargo hold and drain towards the hold bilges. This may also happen due to leakage into the cargo holds through hatch covers or from other openings. Hence, a cargo of coal containing up to 1% of its weight as moisture, may settle in the bilges tank. Unless, proper sounding of bilges tank is taken during draught survey, such accumulation in bilge tank will be undiscovered. The cargo receiver will receive shortage of cargo but draught survey at disport will not show any difference in quantity as from load port since quantity of cargo settled in the bilge tank will appear in the disport draught survey. Entry of sea water into the vesselwhich may cause contamination of cargo. Washing out of cargo during storage in open at the Port of loading anddischarge due to cyclonic storm. Unexplained shortage, loss of calorific value, moisture loss, multiple handling losses, blowing out of consignment ( especially dust particles) during mid-stream discharge/loading,lighterageand transportation of cargo by barges. Theft, pilferage, rain andsea water damage , non- delivery of cargo during storage in open and transportation by open wagon/vehicle. The risk under the policy will commence as per Incoterms 2010. Thepolicy shall be subject to supervised loading and discharge of cargo by the surveyors nominated by the underwriters. The cover excludes midstream loading/discharge, lighterage and transportation of goods by barges. However, if thecover is granted, the same shall berestricted to ICC ( C) only. The cover for spontaneouscombustion duringoceanvoyage may begranted but subjecttoan excess of at least 1.5% on the value of the whole consignment. The cover for spontaneous combustion during transportation by barges and inland vessel/conveyance should not be granted. The cover excludes rain, sea water damage, theft and pilferage during storage in open and during transportation by open wagon even in the ordinary course of transit. The cover excludes moisture loss, loss of calorific value, deterioration, contaminationand unexplained shortage.The cover also excludes payment of ransom arising out of PA/GA. The policy shall be subject to Co-mingled clause, Institute Classification Clause and ISM endorsement and Sanction Limitation and Exclusion Clause. AnISO container may be stuffed for carriage of bagged coal. If Open top, half-height, or closed box containers are used for bulk, the containers should be properly lined against abrasive damage and dirt by lining the whole container with plastic sheet or similar kind of articles.Explosives are not permitted tobe put in a hold carrying coal in any compartment to avoid explosion. Coals of all types may be carried safely if they are handled, loaded and stowed properly with due regard to their particular properties.